We take care of your TEETH and help you get them healthy and strong; we help you take care of your gums as both healthy teeth and gums are necessary for your overall HEALTH; and once your teeth and gums are healthy and strong, your SMILE will be more vibrant and beautiful. Dr. Tarantola has a small, highly personalized practice. His role as your dentist is to partner with you using a combination of education, advocacy, and attentive treatment. …we’ll sit and talk about your concerns…and then you decide if we are the right practice for you! Call us at (904) 289-1389 and ask for the “Meet and Greet” appointment! Or contact us through our contact form and we’ll get an email from you. A great smile not only looks good but has healthy teeth and gums, works right, feels right and is designed so that it lasts without problems. The “frame” of that beautiful smile is a youthful, beautiful face. Accomplishing these goals is not only a great value but it gives you a reason to smile! Check out our Smile Gallery! 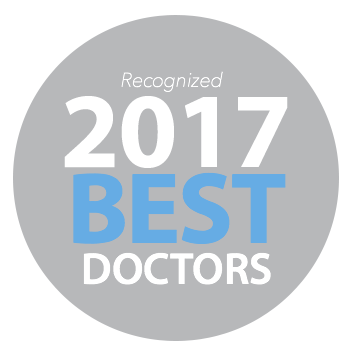 Dr. Stephen Hwang has been a loved, trusted and respected dentist here in Jacksonville for over 4 decades. In 2008 he sold his practice to Dr. Gregory Tarantola. It has been a match made in heaven as their philosophies are totally compatible. Dr. Tarantola will surely carry on the tradition that Dr. Hwang started and nurtured. Dr. Hwang actually studied at the prestigous Pankey Institute for Advanced Dental Education in the 1980s…the same place Dr. Tarantola was Clinical Director for 12 years until 2002. Dentistry today can do almost anything…the hard part is and has always been to figure out what is appropriate for each individual patient. And that is where the expertise of this office is second to none. “I wish I had known about you sooner.” When we hear a comment like this, we are reminded of why we have always treated our patients the way we would expect to be treated – with gentleness, a long-term perspective and personalized solutions. Our patients want satisfying smile care – a refreshing experience and exceptional dentistry. They believe in complete solutions and superior results. They do not want to be rushed into decisions or feel hurried through their visit. This guiding philosophy, based on personalized service, helps us reach our patients’ high-quality health goals and achieve the ultimate in artistic smile creation. We understand that few people like sitting in the dental chair. That is why we’ve tried to create an environment where the patients actually enjoy the surroundings. Drs. Tarantola and Hwang and our entire team are committed to freeing you from discomfort and giving you the smile you deserve. “I need extensive dental work including replacing a few old crowns. I was impressed with the great, diligent care Dr. T took so I would not be exposed to the old mercury fillings he had to remove under the old crown. He is the most gentle dentist I’ve ever experienced and I did not even feel so much as a needle p**** when he gave me the numbing injection. He rebuilt another tooth with bonded composite material that other dentists told me would need a crown. It looks like a brand new tooth! Most dentists cut your tooth down so they can fit a crown on it and that is quick for them and more expensive for the patient! But Dr. T tries to preserve the tooth instead. It takes longer but you preserve more of your tooth. Dr. T also spent considerable time teaching me and answering my many questions so I could make the best decisions for my long-term dental and physical health.